As of March 1, 2019, Delta Cargo will not accept any crates over 24 inches (61 cm) in height with the exception of Service Animals, Emotional Support Animals and military bookings. It is unclear how long this restrictions will be in effect at this time. If your dog or cat meets the requirements listed in Delta Airlines pet policy to travel in-cabin, you will need an approved airline pet carrier. The carrier must have a waterproof bottom, have room for your pet to stand up and turn around, must fasten securly and have adequate ventilation. Small cats, dogs and household birds traveling on flights within the United States (excluding Hawaii), Canada, US Virgin Islands and Puerto Rico. Pets are not permitted in the cabin in First Class, Business Class or Business Elite on any international flights. There may be certain domestic flights where this restriction applies. Pets must be at least 10 weeks old to travel in the cabin within the United States. If entering the US on an international flight, they must be at least 16 weeks of age. If flying to the European Union, they must be at least 15 weeks of age. Delta will not transport pets in the cabin to or from the following destinations: Australia, Barbados, Dakar, Dubai, Hawaii, Hong Kong, Iceland, Ireland, Jamaica, New Zealand, South Africa, United Kingdom and United Arab Emirates. Service animals only may travel in the cabin to or from South Africa, Hong Kong or the United Kingdom. Carrier measurements will vary depending on the aircraft serving the route. There is one pet permitted per passenger unless you are carrying a mother cat or dog with her unweaned litter. Two pets of the same species and size between the age of 10 weeks and 6 months may be allowed to travel in 1 kennel, providing they are small enough to fit into one kennel and are compatible. They will be charged as 1 pet. You will check in at the passenger counter as animals are not checked in at curbside. A fee will be collected at the time of check in. Your pet airline carrier will count as a piece of carry-on luggage. $125USD (US, Puerto Rico, Virgin Islands) $200USD international $75USD Brazil. Service animals are permitted to travel in the cabin with their disabled passenger without charge. Passengers should provide at least 48 hours notice to the airline. Delta complies with the Air Carrier Access Act by allowing customers traveling with emotional support animals (ESA) or psychiatric service animals to travel without charge in the cabin. As of December 18, 2018, puppies and kittens under 4 months of age will not be accepted on Delta flights as service or emotional support animals. No sooner than 48 hours before departure, Delta Airlines will require the following forms for people traveling with emotional support animal: veterinary health forms and immunization records, signed letters from a licensed doctor or mental health professional and signed certification of training. Pet owners will need to sign a Confirmation of Training form attesting to their service or emotional support animal's good behavior. A Veterinary Health Form and a Mental Health Professional Form will be required. See more information about Delta Airline policies on service and emotional support animals. Only one ESA is allowed per passenger. As of July 10, 2018, Pit Bull breeds are not permitted as ESAs. As of December 18, 2018 ESAs are not permitted on flights over 8 hours in duration. With the exception of US Military on active transfer orders, Delta Airlines will no longer permit pets to travel as checked baggage. All pets that are too large to travel in the cabin will be allowed to travel as air cargo and all international transport must be booked through an IPATA agent. If you need assistance with booking your pet's transport through Delta Cargo, we can help you. Please send an email to info@pettraveltransport.com. Notice must be provided by Military Personnel within 48 hours of flight departure. Delta will carry cats (except banned breeds) and dogs (except banned breeds) on domestic or international flights under 12 hours in duration. Household birds, rabbits, hamsters, guinea pigs and marmots will be flown only on domestic flights. Delta Cargo serves United States, South America, Latin America, Caribbean, Europe, Middle East, Canada, Australia, Asia and Africa. All international transports must be booked through an IPATA agent. If you are traveling internationally with Delta Cargo, we can help find you an agent to book your pet's transport. Email us at info@pettraveltransport.com with details. Delta has discontinued their Summer Live Animal Program and temperature restrictions (20 F/-7 C and 80F/27 C) will be imposed for all cities that Delta flies and all kenneling they provide. Additionally, Delta will no longer accept pets traveling as cargo on flights with more than one layover or more than an average duration of over 12 hours. Temperature limitations do not apply for birds (including day-old chicks and poultry), cold blooded animals (including live seafood and fish), and mice or rats bred for research purposes as long as they are not being transported as personal pets. All warm blooded mammals and birds including show or exhibition animals. Delta Cargo will not ship dangerous or offensive animals, unhealthy animals or pets that will be banned by the country of destination. Pets must be at least 10 weeks old and weaned for domestic travel, 15 weeks old for travel to the EU or 16 weeks old to travel to other countries. Reservations must be made between 3 and 14 days prior to departure. Your pet must be pre-booked to fly Delta Cargo. No walk-ins will be accepted. International travel must be booked through a member of the International Pet and Animal Transportation Association. if you need assistance with an international transport you can contact us. A health certificate issued within 10 days of travel, proof of rabies vaccination (dogs, cats and ferrets) and all forms required for your destination country. Locations will vary by airport depending on the location of the cargo office. Pets must be checked in at least 3 hours prior to flight departure. Sedated pets will not be accepted. Delta is unable to transport live animals on Boeing 767 and the Airbus 330 (series 200) aircraft. There are no exceptions to this regulation. Delta will not transport warm-blooded animals as cargo if, at any point,(origination/transit/destination) during your pet's transport, the temperature for the day is forecast to be less than 10 degrees F (-12 degrees C) or greater than 80 degrees F (2 degrees C). There are no exceptions to these temperature restrictions. All live animals traveling when temperatures are under 45 degrees F must be accompanied with an	acclimation certificate. Delta Cargo will not accept pets who have been sedated to eny degree. Delta will not longer transport live animals under their Delta DASH program. Delta will permit 2 dogs or cats of the same size and species to fly in the same crate as long as they are under 6 months of age and do not weigh more than 20 pounds each. There must be adequate room in the crate for both animals. Metal hardware should be used to fasten the top and bottom halves of your pet' crate together. Delta requires either metal or plastic threaded nuts and bolts to secure both halves of the crate. Click here for crate requirements. Need an IATA compliant pet crate? Have a crate already? Need accessories for your crate? More info on crate requirements. Have a crate already? Need accessories for your crate? Delta serves locations worldwide in Africa, Asia, Europe, the Middle East, India, the Caribbean, North and South America including the United States, Canada and Mexico. Delta is also approved to fly into London Heathrow and Manchester (accompanied pets only) which are approved Border Inspection Posts for the United Kingdom. Delta will transport puppies and kittens over 10 weeks of age. Snub Nosed (Brachycephalic) Breeds (Dogs): Affenpinscher, American Bulldog, American Staffordshire Terrier, American Pit Bull Terrier, Boston Terrier, Boxer (all breeds), Brussels Griffin, Bulldog (all breeds), Cane Corso, Chow Chow, Douge de Bordeaux, English Toy Spaniel (King Charles), Japanese Chin, Lhasa Apso, Mastiff (all breeds except Great Danes), Pekinese, Pit Bull, Pug (all breeds), Shar Pei, Shih Tzu, Staffordshire Bull Terrier and Tibetan Spaniel. The information published here is a guideline for airline pet policies for Delta. 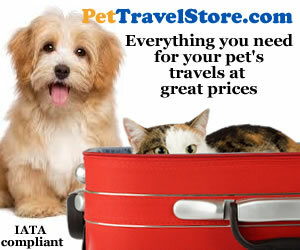 Further detail on airline pet policies as well as pet passport information are available at minimal cost at PetTravelStore.com. 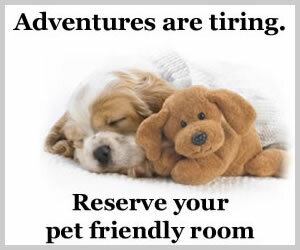 We also stock all the equipment and accessories you will need for traveling with your pet. Same day shipping Monday through Friday until 4:00 PM EST. You can post them directly to our Facebook page, blog, forum or just enter them below. We will respond as soon as we can. Please note that the accuracy of comments made from Facebook users other than Pet Travel have not been verified.